J&J’s strategy of acquiring only the mature, well-established branch of Actelion aims at expanding its main consumer, medical device and pharmaceuticals segments by adding to its portfolio of drugs the Swiss company’s ones. In this way, the US company will be able not only to take advantage of new markets and growth opportunities, but also to effectively face significant threats to its profitability. For instance, revenues generated by the Remicade – a J&J’s lucrative drug to treat arthritis – fell 24% in 2016 with respect to 2015 levels, as it a cheaper Pfizer’s product has been driving down prices. Partially excluding early-stage experimental drugs through the spin-off of Actelion’s R&D unit comes as a way to satisfy a twofold need of the parties. First of all, spinning-off the division will allow the current Actelion top management to maintain control over it, a condition which kept several potential bidders away from finalizing previous agreements. 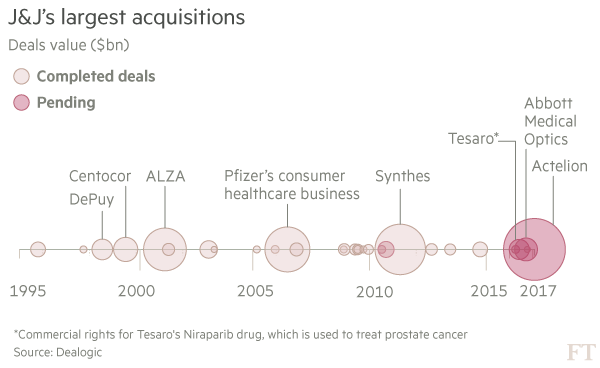 In the words of Actelion chairman Jean-Pierre Garnier, “a complete takeover of the company would not allow us to grow those fragile flowers (early stage drugs)”, since most of the times pharma megadeals lead to the elimination of undergoing experimental projects for cost-cutting needs. 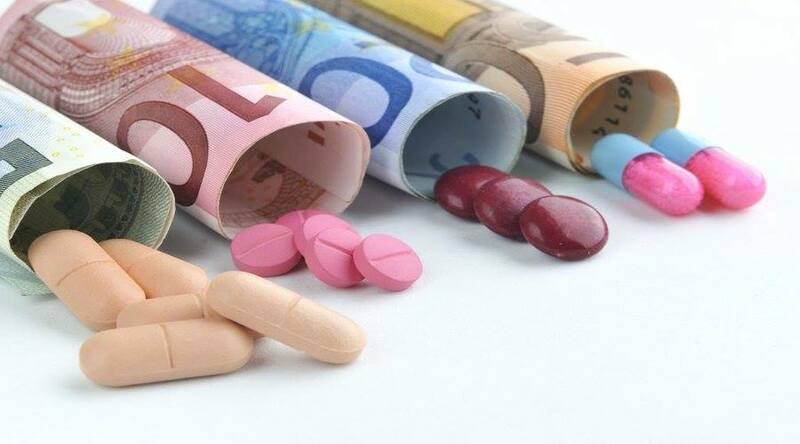 In a second instance, the spin-off will let Johnson & Johnson focus on established high-price, high-margin drugs for rare diseases brought in by Actelion’s mature business. Furthermore, the transaction will also bring immediate tangible value to the US company’s shareholders: the deal is indeed expected to be accretive to J&J’s adjusted EPS in the first full year, by an amount ranging from $0.35 to $0.40. On a long-term basis, revenue and earnings growth rates are expected to go up by at least 1.0% and 1.5% – 2.0% respectively. The fact that Johnson & Johnson will retain a significant minority stake into the new standalone company expands the financial benefits of the transaction to the potential upside of the former Actelion R&D unit. Analysts, on the other hand, have argued that the transaction is clearly overpriced with respect to comparable transactions. The high premium can be actually explained as a way to defeat competitive bidders, but most importantly as an efficient use of the significant amount of cash that Johnson & Johnson held offshore: being held outside the US, the cash used to finance the acquisition will indeed incur no tax. On the day of the announcement, Actelion’s shares climbed to CHF 271.60, a 22% increase with respect to the previous day signaling strong investor confidence in the value of the deal. On the other hand, Johnson &Johnson’s share price decreased by 0.8% to $111.84 on the same day. Lazard acted as leading financial advisor to Johnson & Johnson, assisted by Citibank too. Actelion is being advised by Bank of America Merrill Lynch and Credit Suisse.